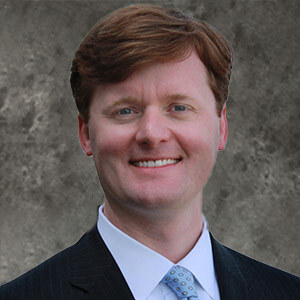 James C. Fowler serves as Assistant Vice President of Cooper/T. Smith Corporation, which is headquartered in Mobile, Alabama, operates in 38 ports in the United States, Brazil and Mexico, and consists of warehousing, terminal operations, tugboats, push boats, barging, floating terminals, logistics, forestry, vessel repair, and restaurant operations. Prior to returning to his home state of Alabama, Mr. Fowler served as Operations Manger for Crescent Towing in New Orleans, Louisiana, one of the nation’s largest ship-assist tug service providers. He has also worked in the management of various stevedoring and maintenance operations at Cooper Consolidated in Darrow, Louisiana, the largest midstream cargo transfer company in the United States. Mr. Fowler earned a Master of Business Administration with a specialization in finance from the A.B. Freeman School of Business at Tulane University. He obtained a Bachelor of Science degree from the Culverhouse College of Commerce and Business Administration at The University of Alabama, where he also served as the president of the Student Government Association and student representative to The University of Alabama System Board of Trustees. Mr. Fowler is currently a member of the Mobile Area Chamber of Commerce Board of Directors. He is active in the Rotary Club of Mobile, American Waterway Operators, Order of Fuse (Fuse Project), and Covenant Presbyterian Church. He serves as treasurer for an alumni advisory board at The University of Alabama. He and his wife Meg McCrummen Fowler reside in Mobile, Alabama.